Kyiv, Ukraine — June 24, 2017 — Token-as-a-Service (TaaS), the first-ever tokenized close-end fund dedicated to blockchain assets, announces today its investment in TenX, a payment platform providing liquidity to individuals wishing to spend their cryptocurrencies via a credit card. The investment amount allocated by TaaS is 1000 ETH, which is equivalent to $307,000 (on the moment of the transaction). TenX has recently announced its Token Allocation Event (TAE) would have a cap limit in the amount of 200,000 ETH (equivalent to $61 million) while no more than half would be distributed during the pre-sale period. The ticker symbol for TenX’s tokens is PAY. The TAE started on June 24th and raised 100,000 ETH (equivalent $31 million) in less then one hour. As part of its investment thesis, TaaS invests in crypto ventures, which bring efficiency and simplify the use of cryptocurrencies in the ever-growing decentralized marketplace. The wallet and credit card developed by TenX have been tested for payments in 50 countries. The payment platform developed by TenX is powered by a Cryptographically-secure Off-chain Multi-Asset Instant Transaction (COMIT) network. This allows decentralized real-time instant cross-blockchain assets transactions. TenX has already built an iOS and Android app which serves as both a wallet and a decentralized exchange (with zero fees). TenX mails its users a physical credit which allows them to spend their cyrptocurrency anywhere where VISA or Mastercard are accepted. The platform converts all transactions to the local currency. At this point, TenX’s platform supports Ethereum, Bitcoin, and Dash, and is soon adding other popular cryptocurrencies. This transaction marks the fourth investment TaaS made since the fund was raised on April 27th. TaaS has made total investments of 422 BTC and 1500 ETH, including 352 BTC to Bancor, the most talked-about project of this year. 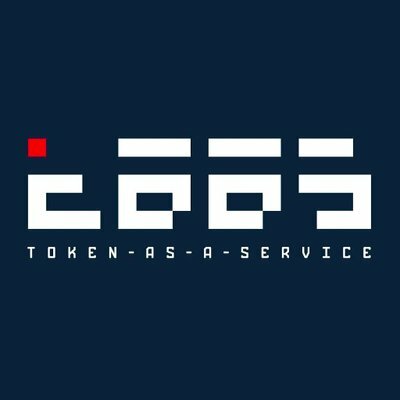 As of today, TaaS holds the following tokens in its portfolio: 122,400 MYST (Mysterium Network), 293,375 BNT (Bancor Network), 1,059,210 XID (Sphre Air), and 420,000 PAY (TenX). Its own TaaS token (TAAS) is currently trading on Liqui, LiveCoin, and HitBTC exchanges for the price of $2.6. TAAS will distribute profit sharing at the beginning of August after the end of its first full quarter since the fund started making investments. TaaS is constantly searching to invest in the most innovative solutions in the crypto space. TaaS has a strong team of experienced traders and analysts for active trading on various exchanges as well as for researching the most advantageous Token Allocation Events for long-term investments. This combination of short-term and long-term investments is the fund’s strategy to grow the fund’s portfolio balance for efficiency of profit-sharing model and to diversify portfolio to strengthen TaaS.